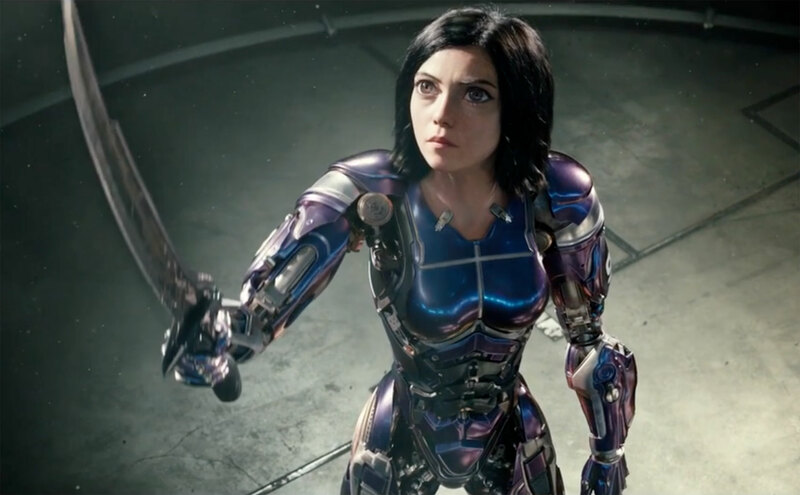 If, like us, you visit the cinema at least twice a week or more, you will have seen countless trailers, promos and clips promoting the forthcoming Alita: Battle Angel by now. Four years in the making, James Cameron and Robert Rodriguez‘s adaptation of Yukito Kishiro‘s popular manga series finally hits cinemas, after countless delays in pre-production since 2003. It’s no wonder the studio is pushing it so much. We could probably also do without the self-congratulatory featurette of the pair giving each other a verbal sponge bath over what a powerful and meaningful film this is, and how the technology will change the face of cinema forever… or something! To be honest, when we see clips like this in marketing, it’s usually cause for alarm as surely the film should speak for itself. General audiences don’t need some producer they’ve no interest in waxing lyrical about how his film is the bees-knees to make up their minds (and nor do film fanatics either). If anything, it’s desperate and not exactly comforting. 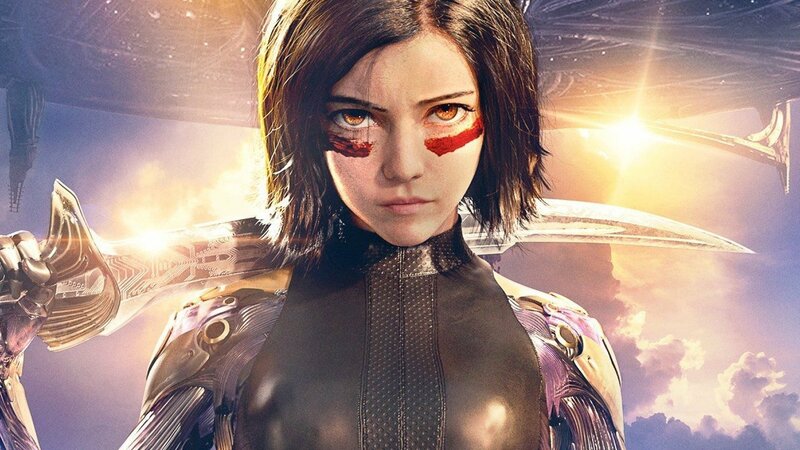 So naturally, having seen watched the film’s marketing team practically on their knees begging, this concerned critic ventured in to the screening for Alita: Battle Angel with a degree of trepidation. The results were unfortunately unsurprising. As you’d expect with a Cameron/Rodriguez collaboration, the visuals are nothing short of stunning. The CGI on offer fits in seamlessly with the live action elements, the computer generated characters and environments feeling organic and real. The action sequences benefit hugely as well – where other big CGI slug-fests in lesser movies are near impossible to follow, here Rodriguez keeps the action fluid and tangible. The resulting smackdowns are intense, kinetic and engaging, which is no mean feat when you consider how headache-inducing other effects-heavy action scenes can be. The performance capture is particularly worthy of praise too. Whilst at times there’s a disturbing sense of the uncanny valley to Alita, the central performance from Rosa Salazar as the wide-eyed cyborg girl ensures the character remains engaging and sympathetic. At times, Alita feels completely real, the digitally-created textures so fine-tuned and realistic, that you may have to punch yourself as way of reminder that she isn’t real at all. Unfortunately, what Alita has in imagery, it lacks in coherence and heart. Cameron’s script can’t seem to decide what direction to take the story in, bouncing from one thread to another in awkward fashion. One moment Alita is on the trail of her forgotten past, the next she’s signing up to become a cyborg bounty hunter, whilst a moment later she’s competing in a deadly game of Motorball to become the champion and win prize money for her bland love interest, Hugo. And this is all whilst in the background, Mahershala Ali and Jennifer Connelly plot against her and her father, Dyson Ido (Christoph Waltz), for reasons never fully explained. Nothing ties up particularly well, with characters coming and going throughout the narrative with barely a defined characteristic or clear motivation. Everything in this regard is jumbled and the resulting attempts at genuine emotional depth feel clunky and underdeveloped. The ending, which we won’t spoil, is incredibly confused and emotionally void, merely serving to set up a bunch of inevitable sequels and don’t even get us started on how cheesy the whole affair feels, suffice to say, the film takes itself way too seriously than it needs to. Despite these major flaws, there is some fun to be had throughout the film – the performances from all involved are enjoyable, particularly those of Salazar, Waltz and Ali, whilst the visual design of the world is arresting and beautiful to behold, despite being pulled straight out of the Blade Runner School of Dystopian Futures. Of course, the aforementioned 3D technology and visual effects are a triumph for all involved but despite all this, there’s no getting away from the fact that Alita lacks the connection and warmth it really needs to justify its story and involve the audience. Unlike Alita herself, Alita: Battle Angel is in desperate need of a human heart. 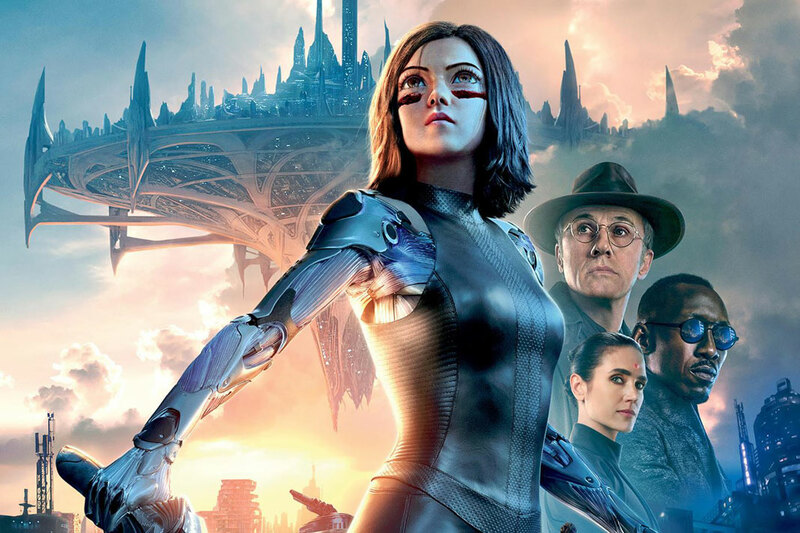 Alita: Battle Angel comes to UK cinemas and IMAX in the UK this Wednesday 6th February. Tags: 20th Century Fox, Alita: Battle Angel, Christoph Waltz, Ed Skrein, IMAX, Jackie Earle Haley, James Cameron, Jennifer Connelly, Keean Johnson, Mahershala Ali, Robert Rodriguez, Rosa Salazar, Yukito Kishiro. Bookmark the permalink.